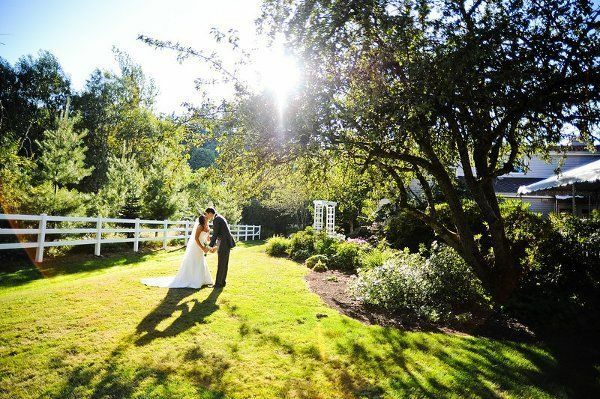 Tibbetts Creek Manor is a rustic wedding venue located in downtown Issaquah, Washington. This beautiful two-story mansion boasts 7,000 square feet of event space that can be used for both your ceremony and reception. Couples will experience a serene and peaceful atmosphere on this three-acre estate surrounded by picturesque creeks. Tibbetts Creek Manor is happy to accommodate intimate gatherings and lavish affairs alike. 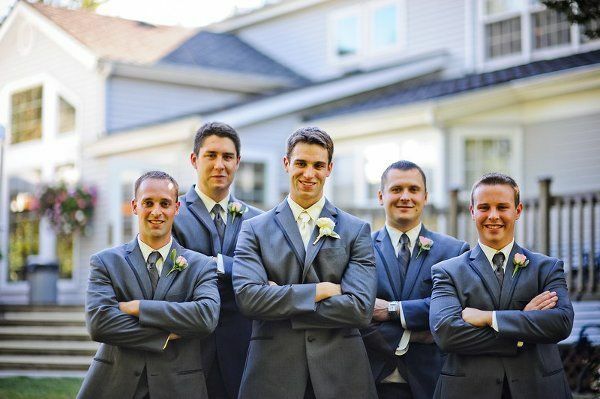 Couples can accommodate up to 175 guests at this classic manor. 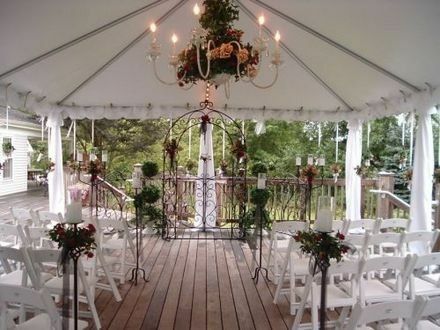 They pride themselves on their “country elegance and interior grace.” They can accommodate up to 130 guests inside, and if you need additional seating, you can utilize their outdoor floral garden and white-tented deck. For your ceremony, you can exchange your vows in their Great Room. This 1,200-square-foot space can also be used for intimate receptions featuring a DJ and dance floor. You can use their Parlor, Sitting Room and Dining Room for your bar, buffet, gift table and/or mingling space. 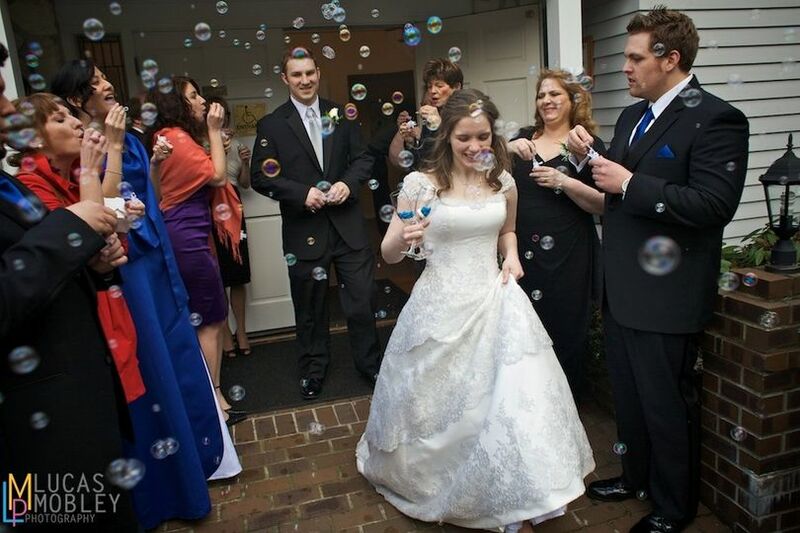 Your guests will enter through their Foyer where you can display your guest book, and then after your ceremony they can sip cocktails on the tented Deck. 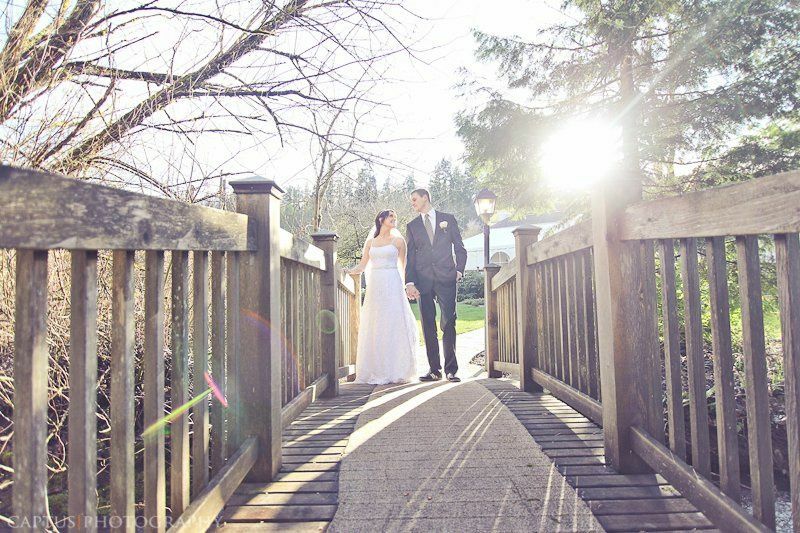 There’s a charming bridge on their property, perfect for romantic photos. 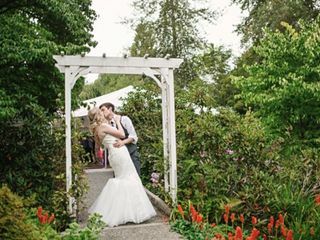 If you prefer to say your “i do's” outside, many couples take advantage of their lush landscape and use it as their backdrop. 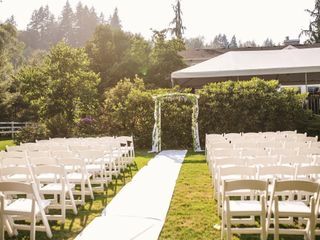 This full-service, private venue offers an on-site Bride’s Room and Groom’s Room where you and your future spouse can get ready. Setup and cleanup is included with your rental fee, along with tables and chairs. They provide plenty of complimentary parking for your guests on their front and back lots. If you need additional spaces, there’s overflow parking available at the park-and-ride one block north of the Manor. Public restrooms are available off the Great Room. The venue is absolutely gorgeous in the summer! We had about 85 people at our wedding and it was very roomy! Definitely recommend checking out this location! 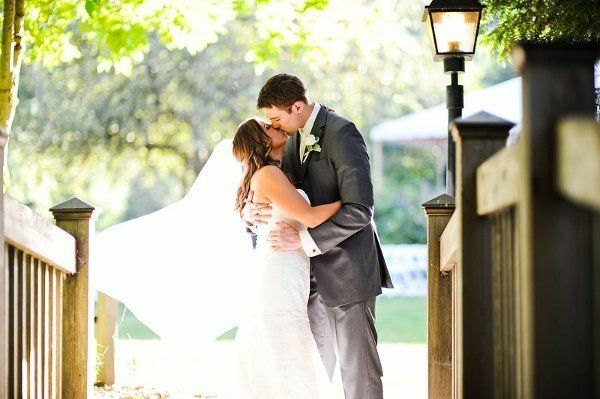 Tibbetts Creek Manor was the site of our rehearsal walk-through, ceremony, and reception. The walk-through a few days prior provided access to the entire site for an hour, including having a member of their staff set up some chairs to help illustrate the actual arrangement. 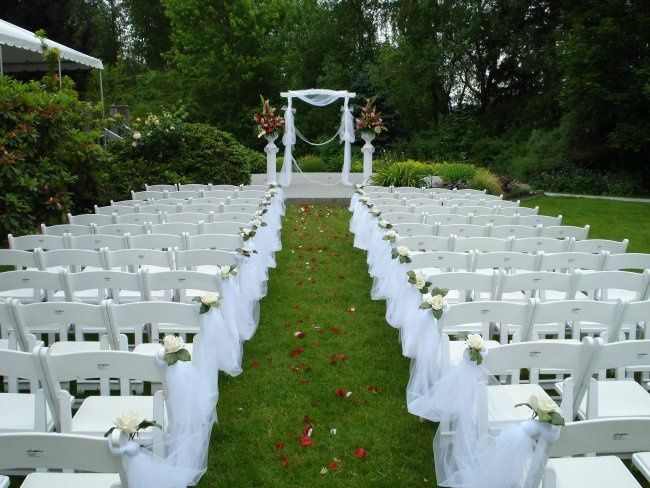 The ceremony was outside in their garden, and it was apparent they take great care of it during the hot summer months, as it looked beautiful. The cocktail hour, as well as the dance floor and bar, were setup under their covered deck. The deck is huge, providing plenty of space for dancing/the DJ booth/bar, while also kept in great shape. The dinner and majority of the reception was inside the manor. The air conditioning was as nice feature, the kitchen was recently renovated, and it was clean throughout. 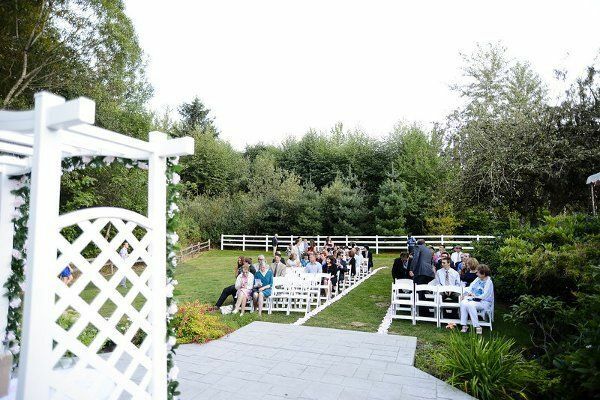 The venue and their manager (Cynthia) is extremely flexible on access prior to your event, with plenty of open houses, and are quick to respond to emails. 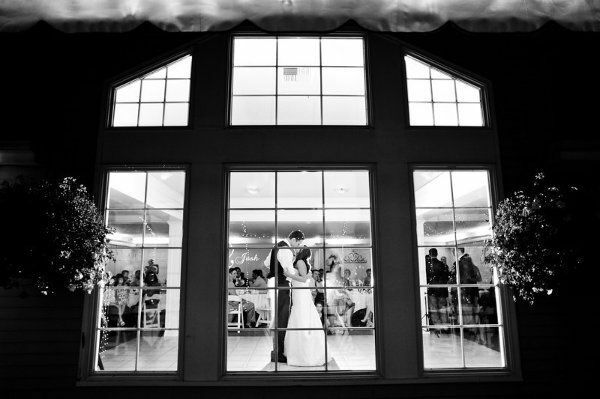 Overall we were very satisfied with the venue, and their staff, and would recommend it to anyone planning their wedding!